Marriage at Guruvayoor Temple a very special Occasion , Pleasant and Mind blowing atmosphere , Makes the Wedding a remarkable Ceremony. Therefore some of the Grand Weddings at Guruvayoor listed below. 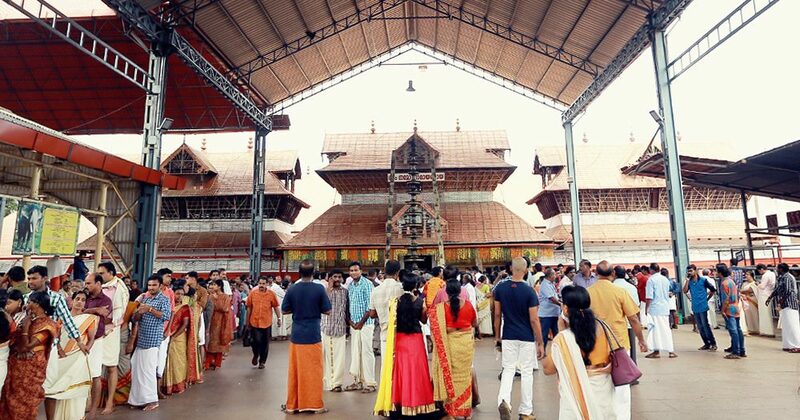 The Wedding Ceremony of Lakshmi And Bhavik took place at Guruvayoor Temple, Kerala. A Typical Traditional Wedding . The venue gave a classical approach. Lakshmi a striking bride with perfectly shaped eyes and the Kajal simply highlights them. Enchanting Gold Jewellery especially her Palakka Mala. Simple make-up perfectly makes her amazing. Traditional Kerala Kasavu Saree, Plain White with a golden border adds to her ethereal beauty. In addition her hair adorned with lovely flowers mostly white. While Bhavik lovely in his off white Kurtha, looked perfectly regal. Finally the Groom tied Mangalsutra that completes the Ceremony. Both their family members showered their Love and Blessings to the newly Wedded couples. 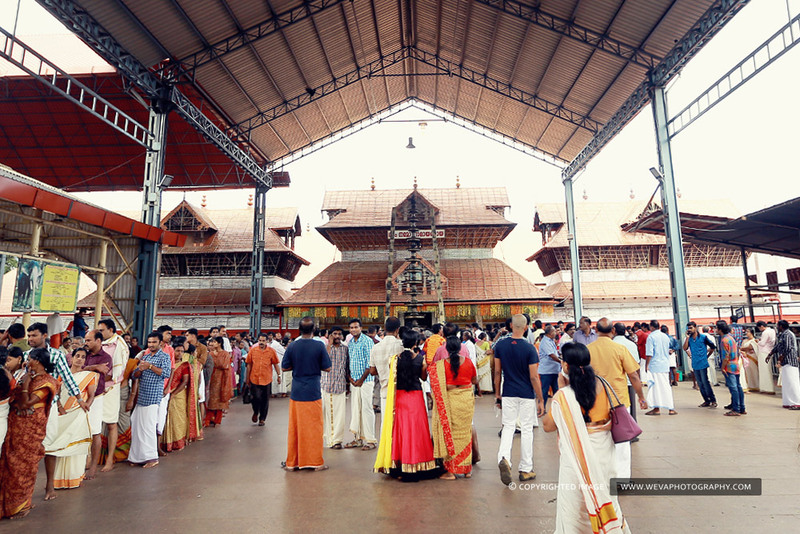 Anand and Janaki tied their knot at Guruvayoor Temple, Kerala. Janaki a lovely Bride with cute smile. Janaki, Superb in Kerala Setu Mundu . While Anand handsome in Mundu and Veshti. The Groom ties the Mangalsutra around the Bride’s neck. And his sisters help in the process thereby exchange of Jaimala. Putting Sindhoor on Bride’s head. Then Kanyadanam performed by Bride’s father , So giving Bride’s hand to Groom’s hand. Stage decorated with lamps and flowers. There, a Para – a Vessel made of brass and copper, filled with nellu. Janaki , bought into the hall accompanied by her Aunts and Sisters. Each of them carrying Lit Lamps in their hands. Anand arrives the same way. Once they seated, the Groom’s parents will bring a Thali, which is simple gold chain with a leaf like Pendant. The Groom ties it around the bride. Thereby reaching the end of Function. She , going to enter into a new Phase of life…filled with Happiness, Excitement, hopes and Love. Therefore May you feel Happiness in every Corner of your heart…. Love Of Family….Life’s Greatest Blessings. Mangal Sutra (Tali) Sacred Necklace of Love and Trust. May Your Love, Faith for each other always be Immutable..
For every Wedding there is a Promise…A promise of Friendship..A Promise of Unconditional Love.. Magical Married Life… holding hands, during good or hard times. Going throughout the life with trust, Support and never-ending Love.